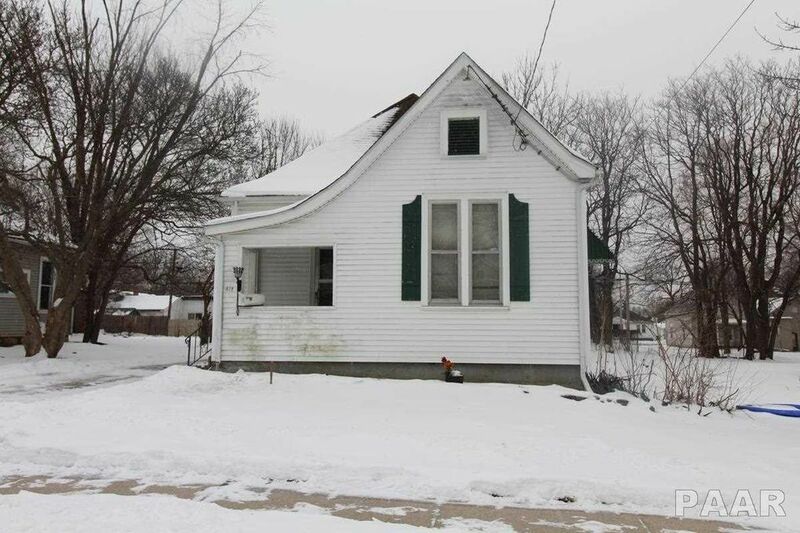 Nice 2 bedroom ranch home in convenient area of Peoria. Home offers new paint, roof approximately 10 years old, new carpet, newer frig & stove. Also, offers a fenced-in yard, wood flooring, 1 stall detached garage, basement, high ceiling, and large kitchen. Great for first time home buyer or rental. Home is as-is.